`Whitney Scharer's storytelling is utterly immersive and gorgeous in its details . . . This is a powerful, sensual and gripping portrait of the forging of an artist's soul.' Madeleine Miller, author of Circe `I'd rather take a photograph than be one,' says Lee Miller, shortly after she arrives in Paris in 1929. Gorgeous and talented, Lee has left behind a successful modelling career at Vogue to pursue her dream of being an artist. There she catches the eye of the famous Surrealist artist Man Ray. An egotistical, charismatic force, Lee is drawn to him immediately. Though he initially wants to use her as a model, Lee is determined to become Man's photography assistant instead. As their personal and professional lives become further entwined, Lee is consumed by two desires: to become a famous photographer and to have a healthy and loving relationship. But as Lee asserts herself and moves from being a muse to an artist, Man's jealousy spirals out of control, and their mutual betrayals threaten to destroy them both. Richly detailed and filled with a cast of famous characters, The Age of Light is a captivating historical novel about ambition, love, and the personal price of making art. 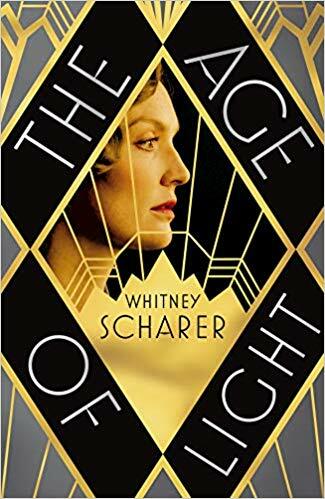 In exploring Lee's complicated and fascinating history, Whitney Scharer has brought a brilliant and pioneering artist out of the shadow of a man's story and into the light.